for money nor craving for money. Now, aren’t you interested to know about getting something from running for health of your life? Oh! Those are known as benefits of running. The health of mankind is the key factor for a successful living. It makes healthy body build up. Then you need exercises. So you can start running as first step .Your early morning running may have positive long term benefits .If it is so, you should know what you achieve out of running. We can divide those benefits in two ways. It is psychological and physical. Firstly we can analyse mental fitness . Do you know what happens to the brain when you run? It may seem obvious as you push on through a long run , veering widely on sensation of agony reduces , so that running has massive effects on your state of mind. Our thinking pattern and feelings improve. Actually running is a universal solution for all psychological challenges ceasing your mind stress. Aren’t you sure? Running works as a tool to improve your way of thinking with fresh mind situation. If you love running, then you know how much comfort on controlling your mind. You know, running intensely makes your blood flow increase. So the oxygen flow in cardiovascular system increases making the body cells booting. So your heart pumps blood fast adding extra oxygen in your blood stream. Don’t you know? It rises your thinking capacity too. Finally, you will be filled up with happy feelings. You know many runners often cite one benefit of running as stress relief. It’s a beneficial way to take your mind off the pressures of work.so you are relaxed. It improves the mentality. Then, you achieve one step closer to your goals. It helps you to stay in a positive mood for the rest of the day. On the other way, it increases the amount of norepinephrine in your body. This chemical moderates your brain’s response to stress. If you’ve had a tough day, get a short time running. It can ease out mental tension. You see the release of wonderful endorphins feeling better for that quick run. Indeed, 30 minutes run will make you feel alive and revive. Because, running influences directly to your hormones. You know, most of the human beings are deeply worried due to depression. You should think of going for a run when you are depressed. In a short time you find feeling better. Then your brain already have started to secrete hormones. So it improves your mood getting rid of depression. It is well known that there are few things in the world to treat depression. But Running is proposed as the best treatment for depression. When we talk about running, everybody supposes that running is an effective way to get into shape. But it’s also almost every part of body.it will be just a grand tool to keep you enthusiastically alive for the whole day. How it improves your physical fitness? 15 – 30 minutes running can kick start our metabolism and find your fat burn. 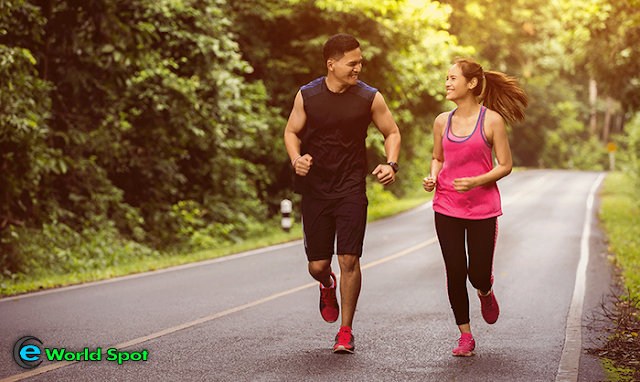 When you run, your body goes into excess oxygen consumption mode making energy from carbohydrate. Then fat is recruited to heal damaged issues. It helps to build lean muscles and burn fat. It prevents excess weight gain. So, you will get rid of obesity. Diabetes, strokes, cardiovascular diseases, minimize your risk with a half an hour running. It keeps your heart and blood flow smoothly. While you are running, after few minutes energy bursting in your body is starting. With increasing of blood flow, it delivers oxygen and nutrients fast. So body cells can generate energy more efficiently. Then, your energy level is increasing step by step. Talking about half an hour running, you can identify how increase your productivity . You know, stimulated body muscles activate. They are starting to work properly and flexibly in correct way. Then your strength levels are at their highest and your joints are mobile. So your working capacity develops effectively.